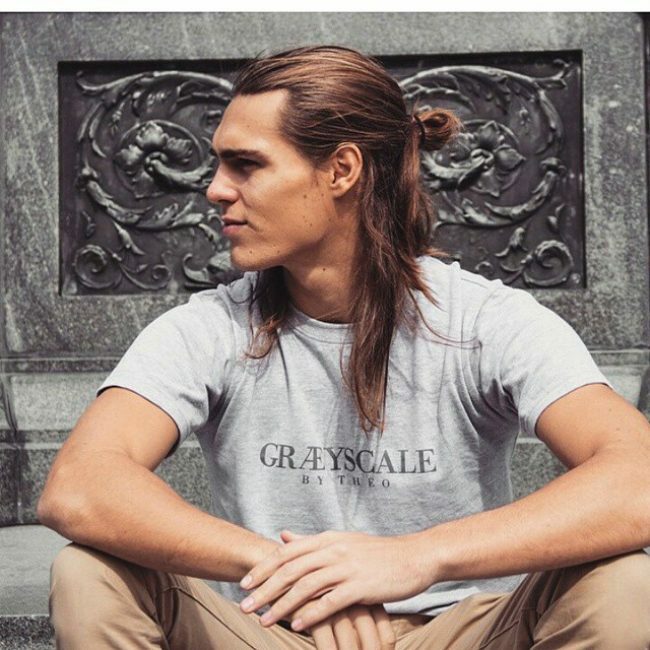 You should never have trouble with hairstyles for long hair because there are many ways that you can style you massive mane. 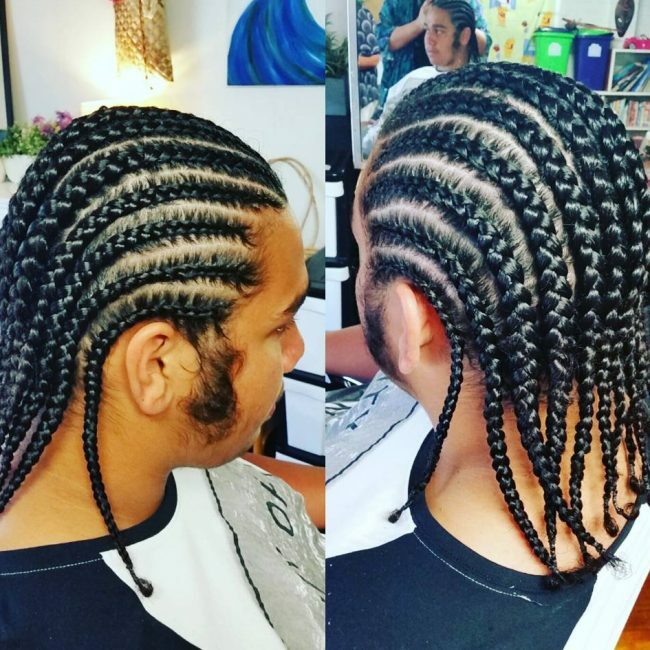 Whether you prefer something simple like a ponytail or cornrows and other types of braids, there are still a variety of designs available. 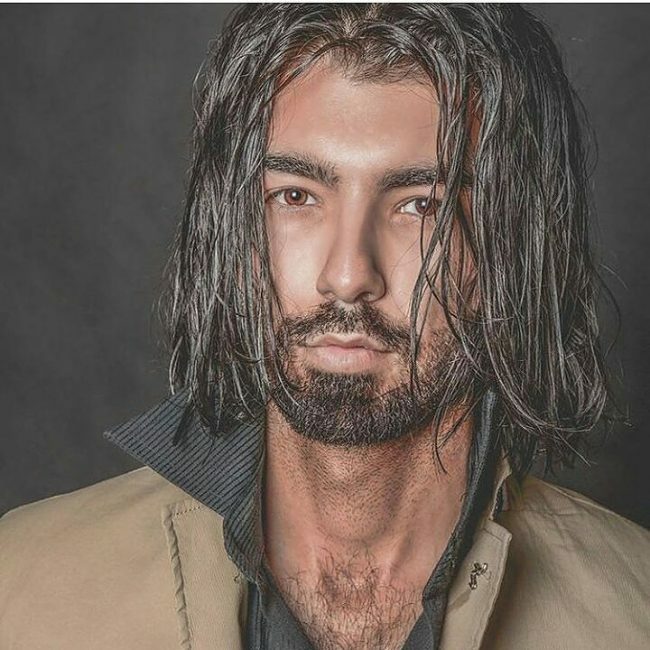 The gallery below showcases 55 stylish hairdos for men with long tresses that you can use for ideas. 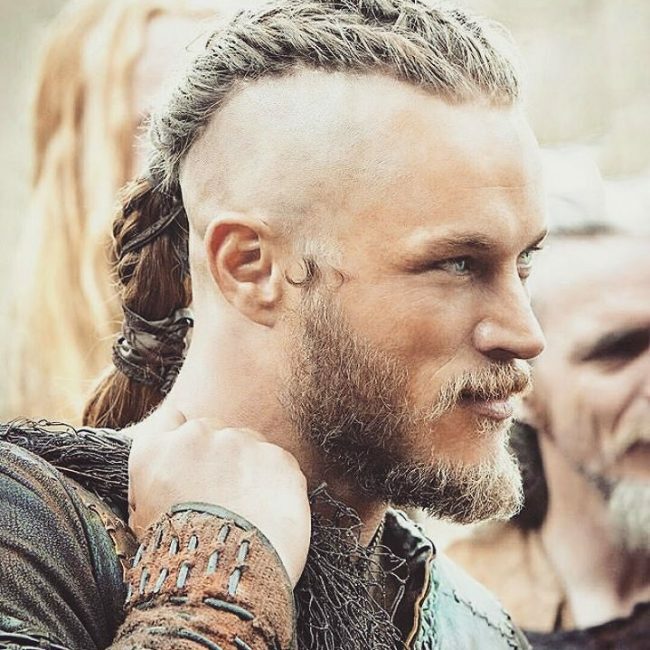 This lovely Viking-inspired design entails shaving the sides of your long mane and leaving it long in the middle. You should then weave the strands into two loose braids that combine into a stylish ponytail at the back. 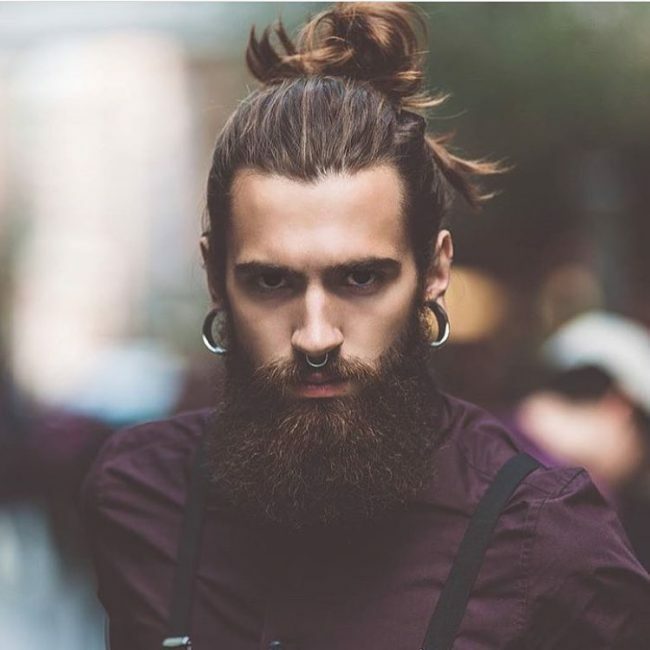 You do not have to do any complicated styling with your long hair because a simple bun like this one is enough. To create this style you only need to brush back your strands and tie them into a small bun at the back of the head. 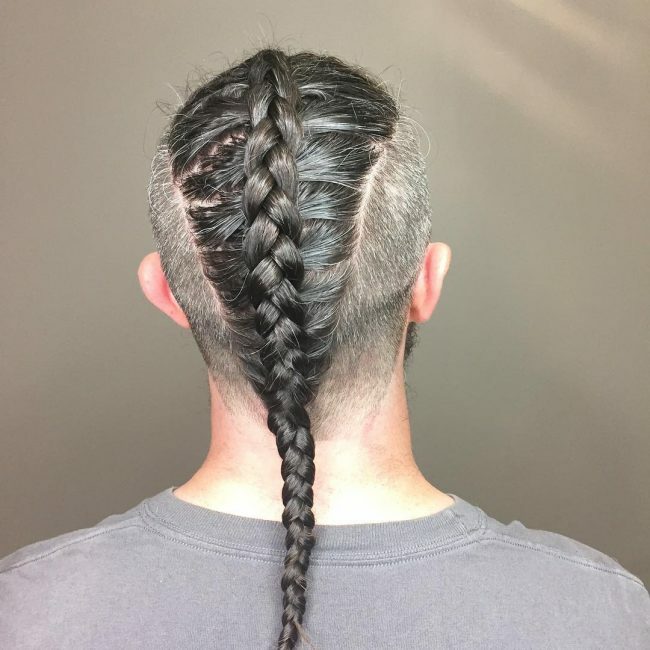 This design entails weaving some neat cornrows on your long hair that you should finish by tying the ends with some elastic bands to create some fancy pigtails. An elastic band is all that you need for this style. However, you should also have a textured medium size mane for it to look this adorable. To style it you should pull back the strands and tie them with the band at the back of the head. 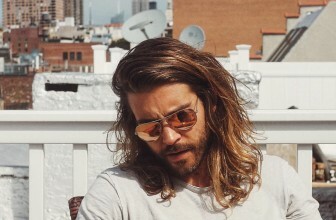 Some hairstyles for long hair like this one will require a lot of patience to create. 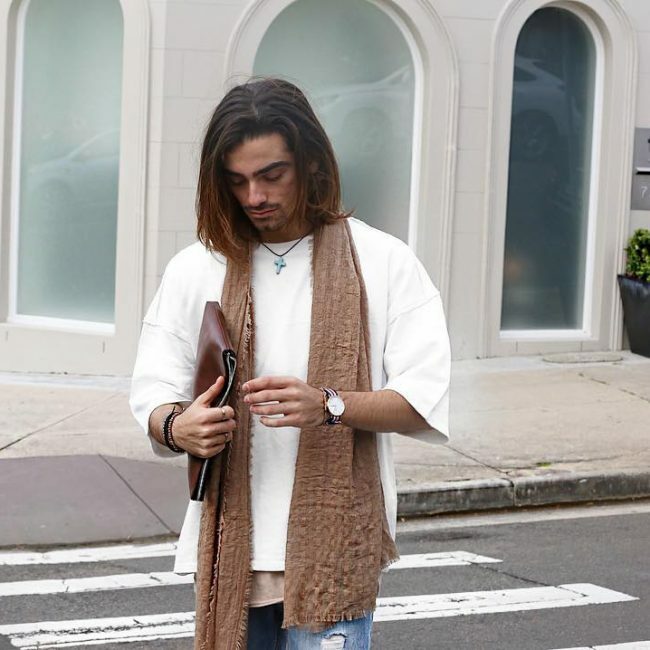 To wear this look, you will need to twist your strands into natural dreadlocks and then wrap a headscarf around the head and have the dreads falling in various directions over the scarf. 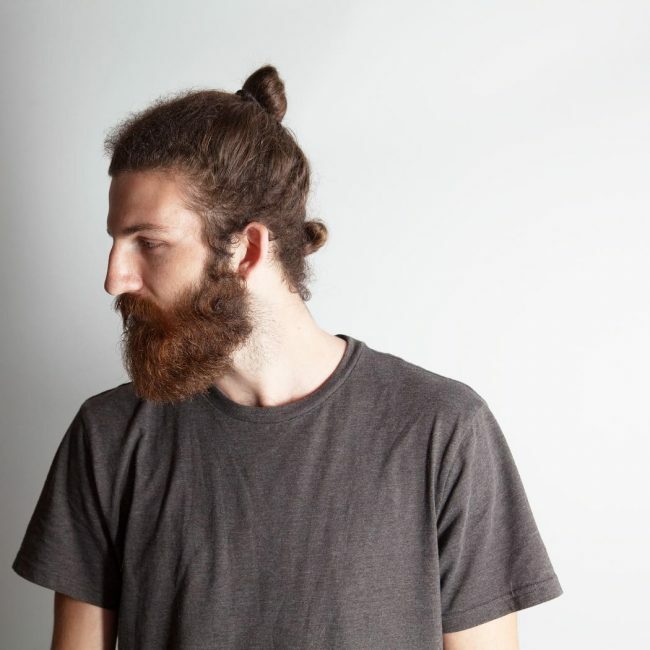 This man bun hairdo is also very easy to form if you have a long mane because you only need to sweep back your strands to the back and use a band to tie them into a bun. 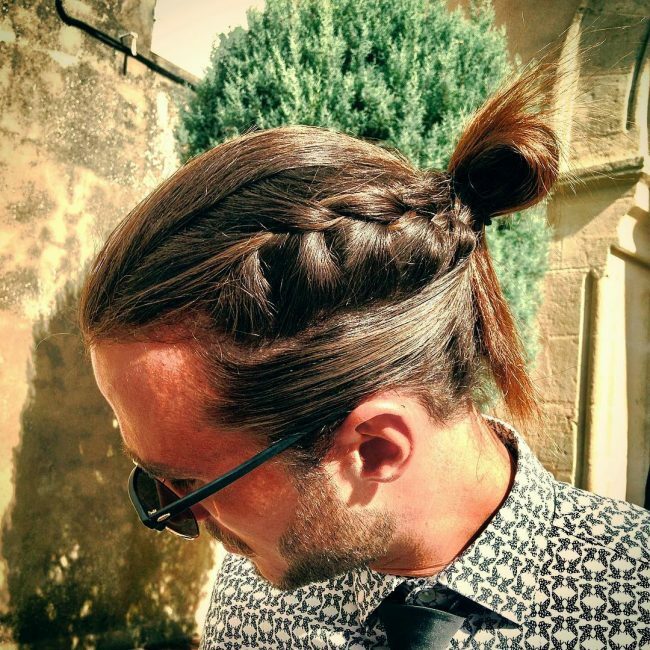 Here is another variation of the man bun and it entails pulling and tying the strands at the center of the head. 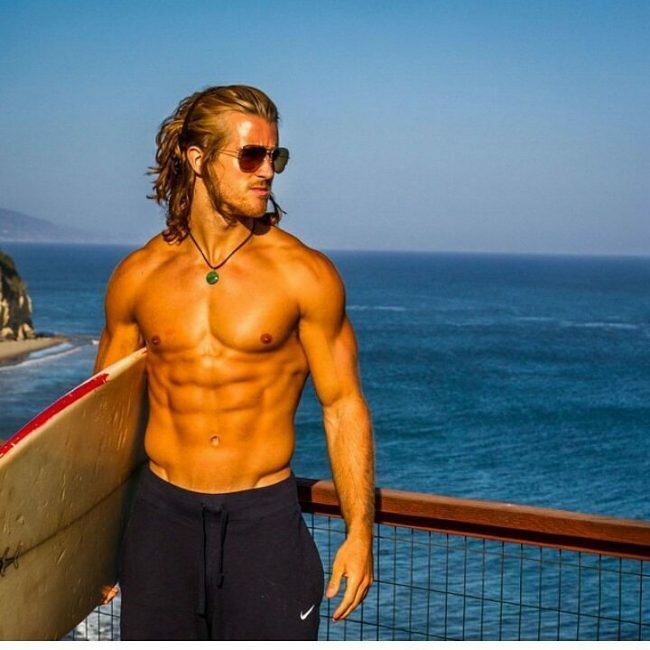 However, the locks have an excellent texture that makes the man bun look very distinct. 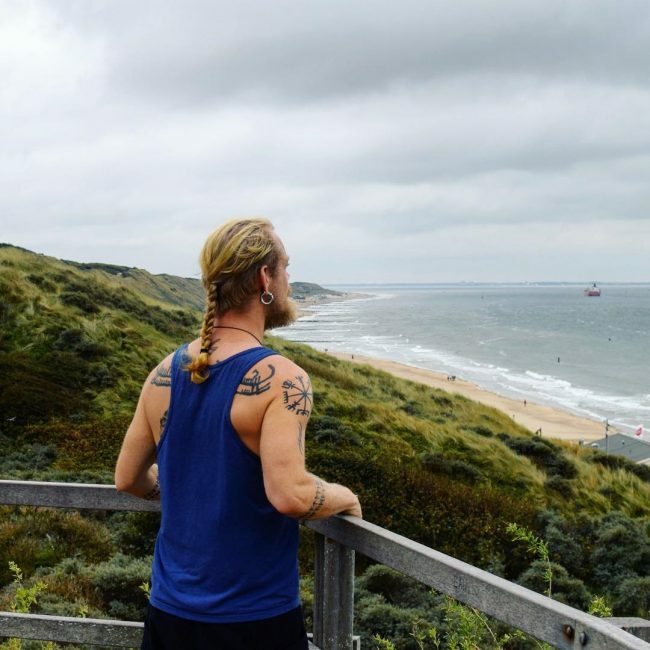 Hair coloring is also a perfect idea for your long mane and in this design, it creates an adorable Viking-inspired two-toned appearance. 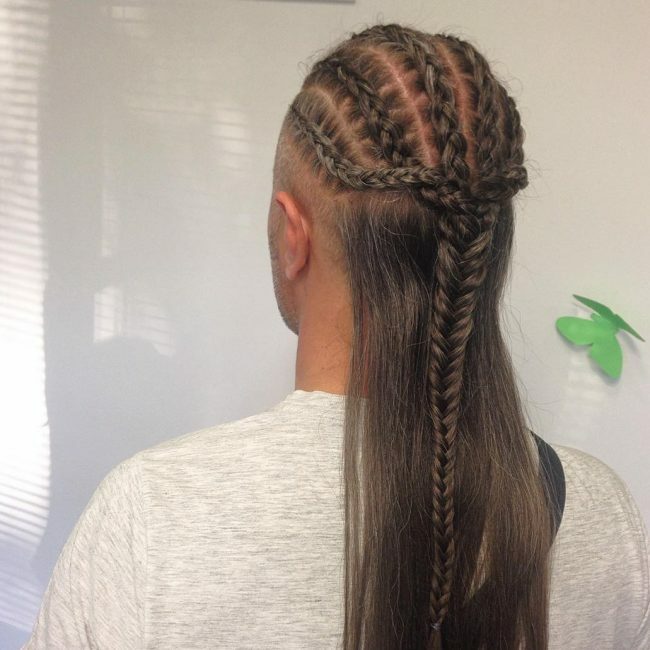 The style also has a unique mullet hairstyle that involves making the hairs at the top short and leaving some long dreadlocks at the back. This design entails shaving the sides and leaving your long mane at the center of the head. You should then spin the strands into two long braids that flow all the way to the back. Also, leave some undone strands at the middle of each braid to give it a crazy look. 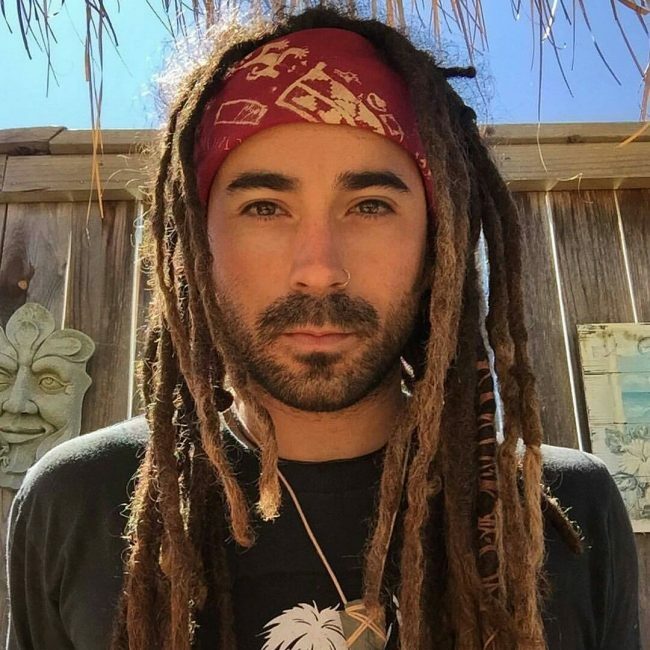 Dreadlocks make amazing hairstyles for long hair, and there are also many styles that you can create with them. 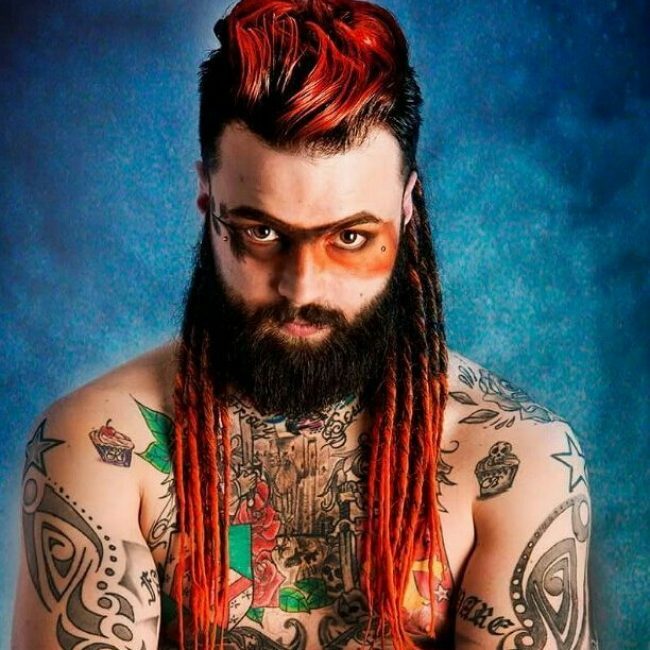 In this design, they have a two-toned appearance that comes from coloring some of the dreads with a brown dye. 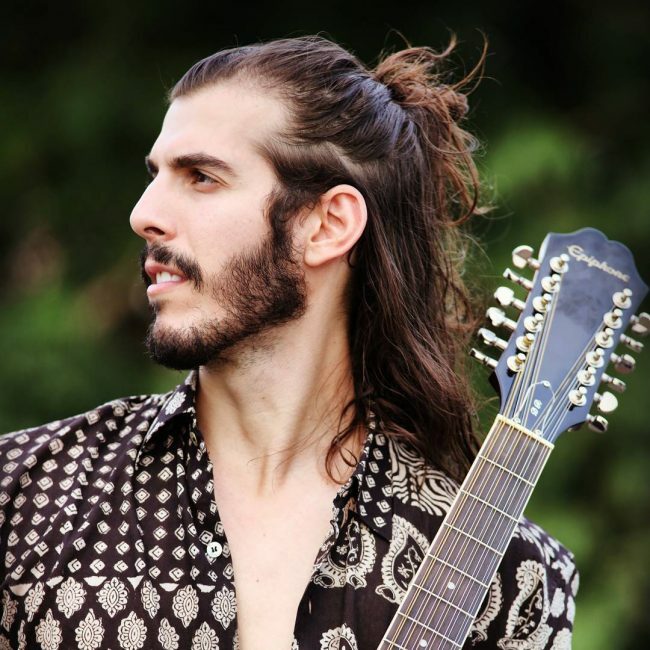 The styling is also very simple as you only need to twist the dreads into a bun. If you are not patient enough to form natural dreadlocks you can still create the same look with artificial faux locs. And if you give them an innovative styling like this one you will look stunning. 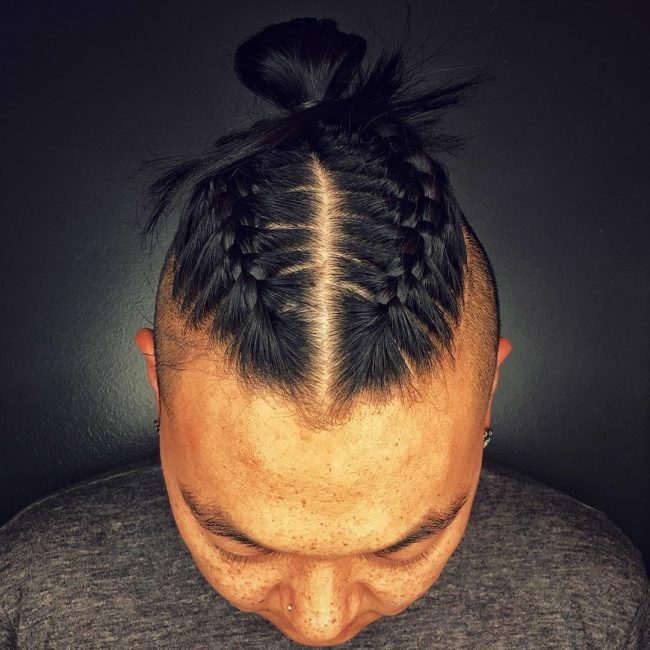 This funky hairdo entails shaving the sides short and tapering them while leaving the long mane in the middle of the head. 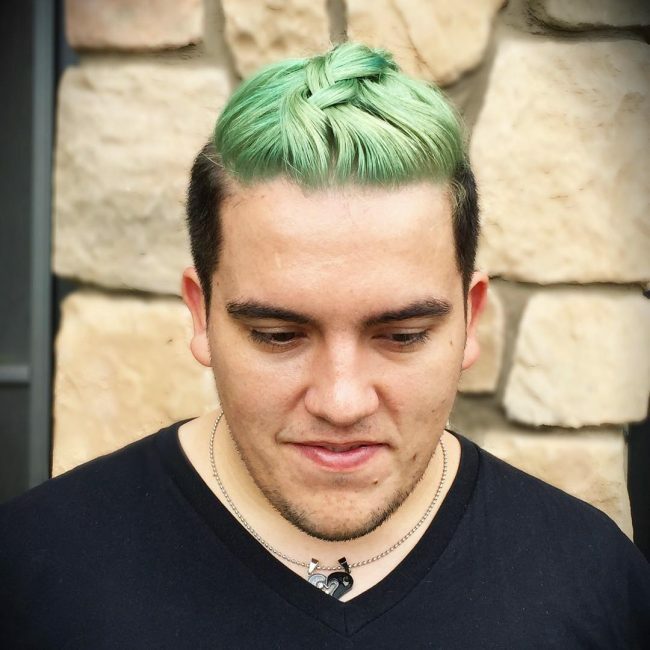 You should then give the long strands a dazzling seafoam green shade and finishing by spinning them into a neat man braid. French braids make cute hairstyles and in this style, they are in some neat rows that converge into a bun at the center of the head. 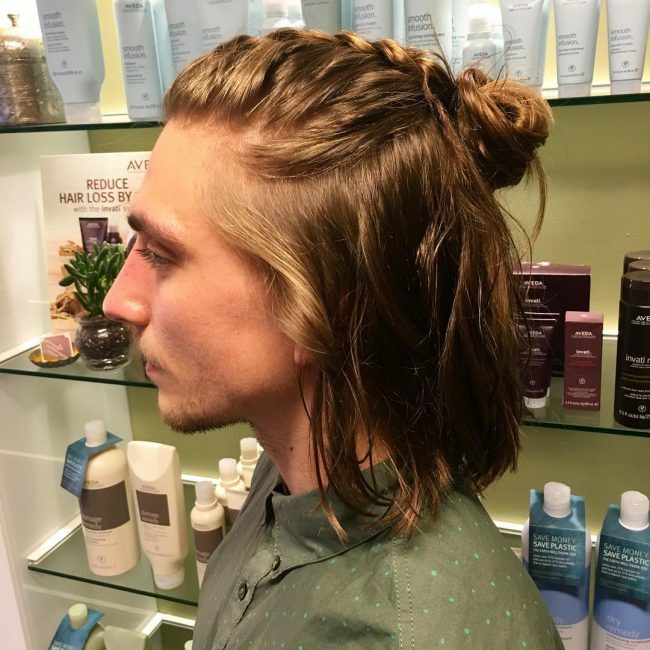 This surf look entails sectioning the locks into two and then knitting the top part into a simple braid that finishes into a messy bun at the center of the head. You should leave the rest of the strands flowing free to create a half up design. The volume, texture, and color of these long strands are perfect, and so you do not need to do anything complicated to style it. A simple center part and sweeping the locks sideways to create a face framing design is enough styling. 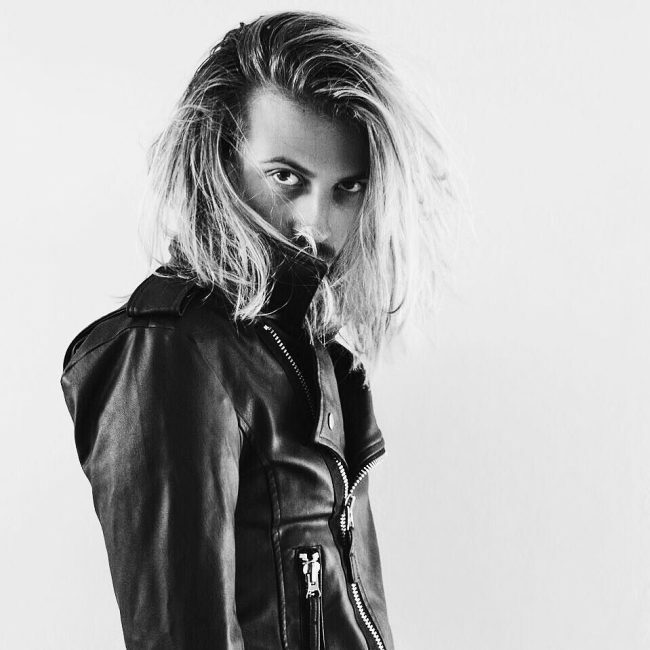 This blonde mane with shadowed roots is already attractive enough. 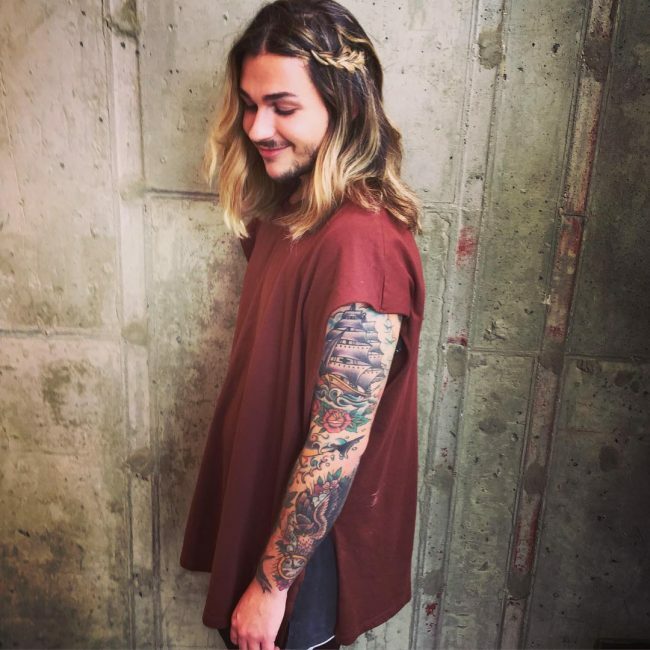 It has some beautiful waves and a lovely texture and so you only need to sweep it to the sides and leave the locks flowing freely. This adorable headdress is also about the lovely texture. The hair has some beautiful waves and color which make styling effortless because you only need to sweep it back to create a cute headdress. The shine on this dark toned hair is fantastic, and it shows that the strands are very healthy. These strands also have a simple style that entails knitting them into some neat cornrows without using any extensions. Viking designs are very stylish and to create one like this you only need to pull back the strands. You should then tie them into a ponytail and knit the ones protruding from the pony into a neat braid. Braids make fabulous hairstyles for long hair, but you need to weave them inventively. The one on this design starts at the front and flow on the side before finishing into a neat knot at the center of the head. This bohemian look entails chopping the strands to medium length and then using a hold product to make them spiky. You should then give them a center part and sweep them into a face framing design. 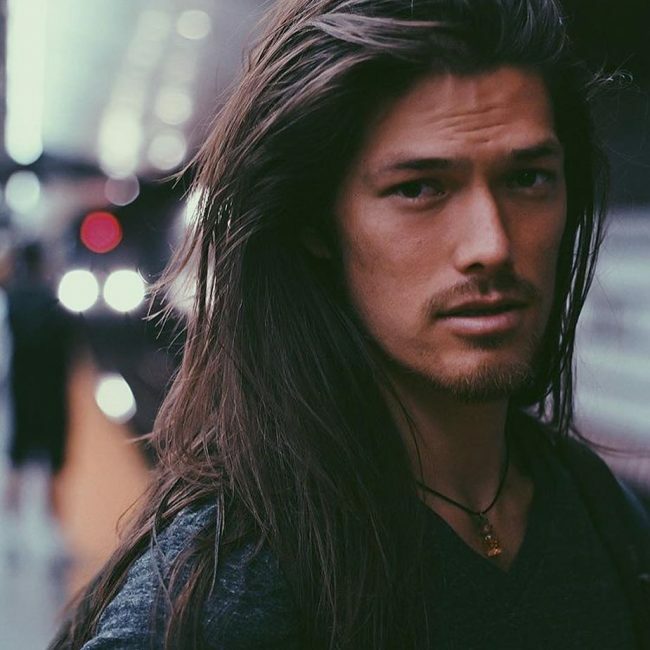 Some men are lucky enough to have a perfect mane like this one, and so they do not need to do much to style it. 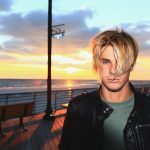 These strands have a beautiful color, textured and volume and so sweeping them to the sides and back is enough. 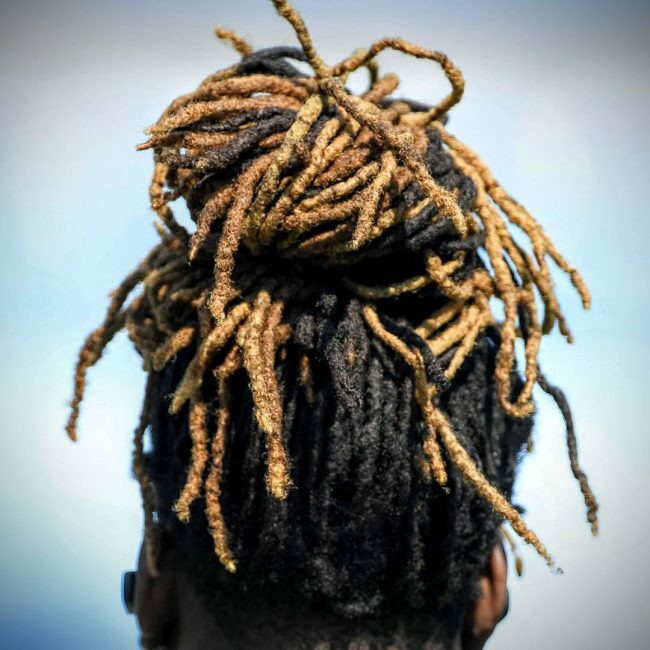 Dreads always make a fashionable hairdo, and you just have to patient to grow out your hair to have them. The ones on this design are neat, and they have a simple style that involves pulling and tying them into a ponytail. If you have a long healthy hair, you do not have to do anything sophisticated to create an adorable hairdo. The natural black strands in this design will only require you to pull them into a sleek and smooth bun to create an extra-chic headdress. Most hairstyles for long hair are easy to create, and you will only spend a couple of minutes making them. 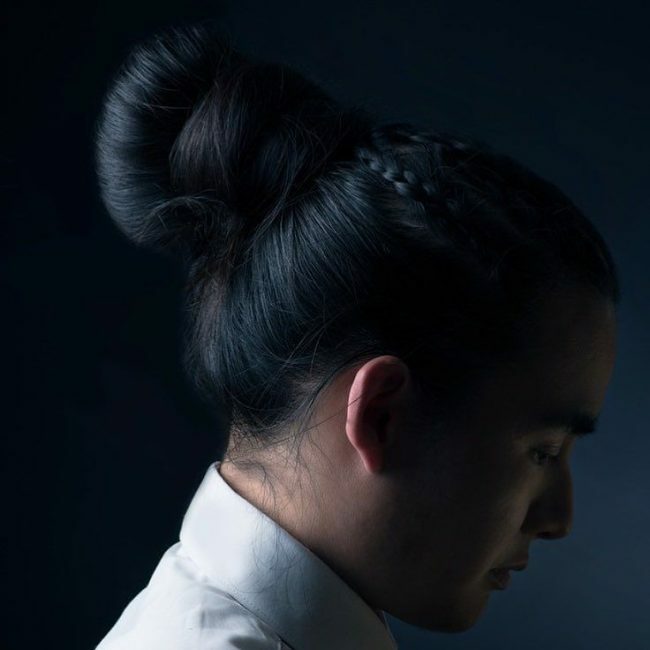 This design is as simple as it can get and to replicate it you only need to pull back your strands and tie them into two small buns at the back. 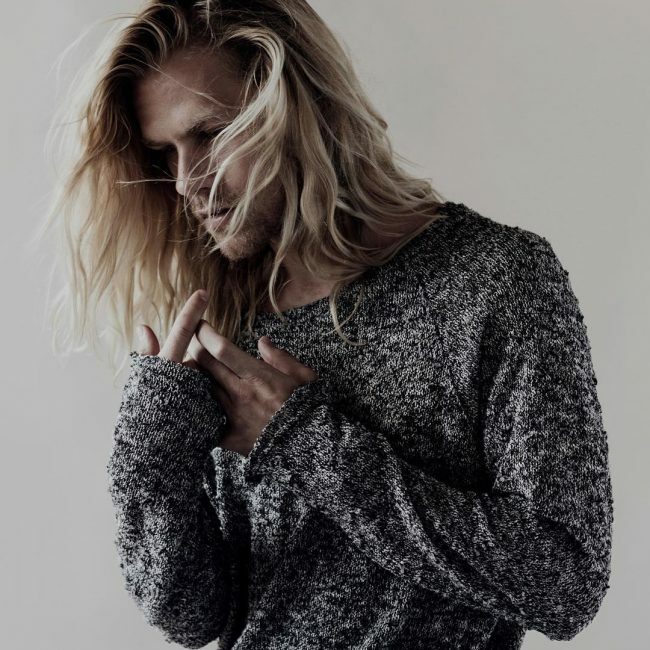 Your medium length locks will not need any styling if they have a beautiful shade and texture like these because just sweeping them back and to the sides will give you all the beauty you want. This mane is breathtaking and a simple brush back is enough to make it look stunning. 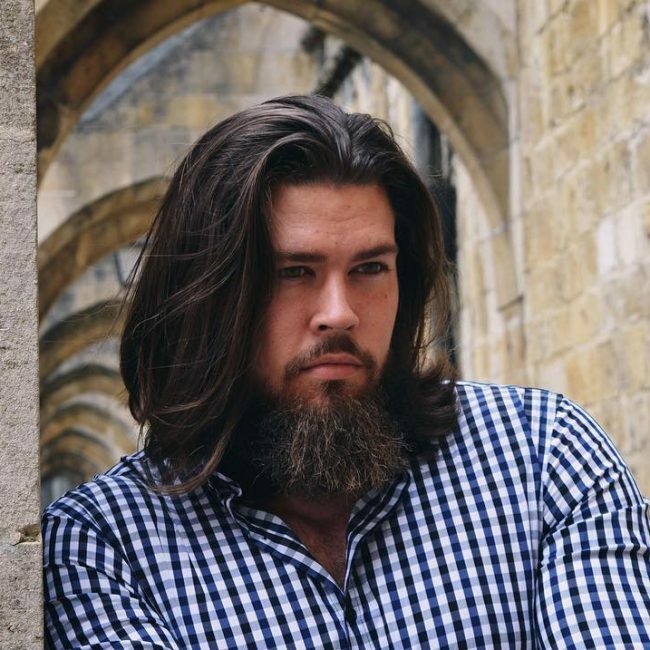 It has an excellent volume and a beautiful dark tone that will make any man look gorgeous. Long strands give you the freedom to wear almost any hairstyle that you want. The ones on this design have a cute side sweep with curly ends hanging over the face and a beautiful side braid. 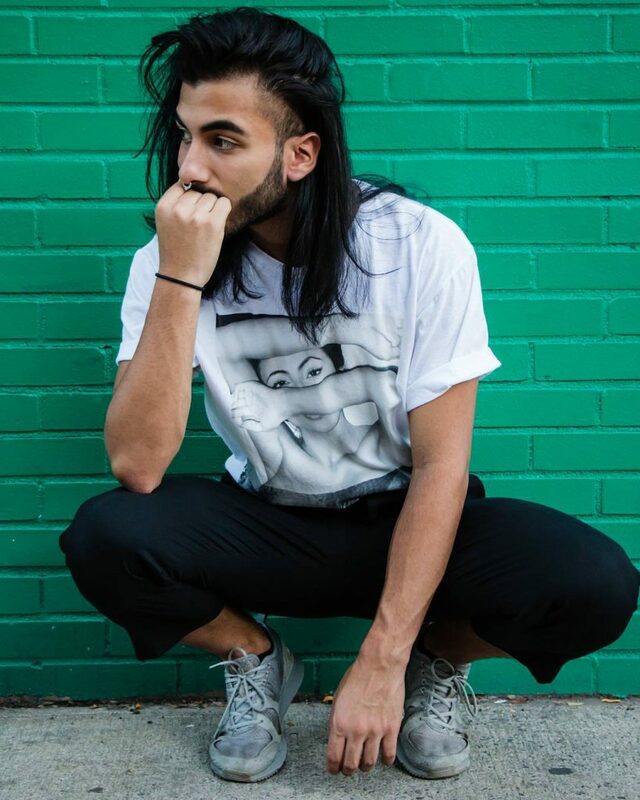 These shoulder length locks have a lovely black shade and a cute style that entails chopping the sides to create an attractive undercut design that you can expose by sweeping back the mane. 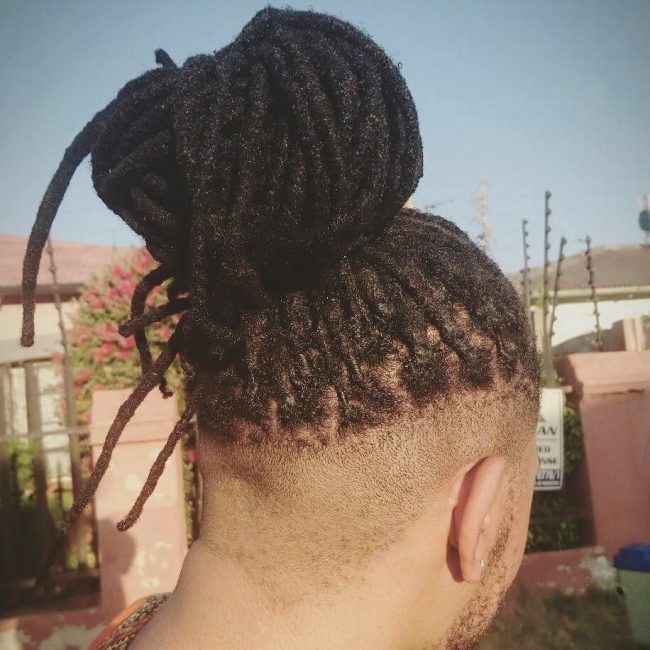 You can give your beautiful natural dreadlocks this cute style by shaving the sides short to create an undercut and then pull the locks to the top of the head and twist them into a man bun. 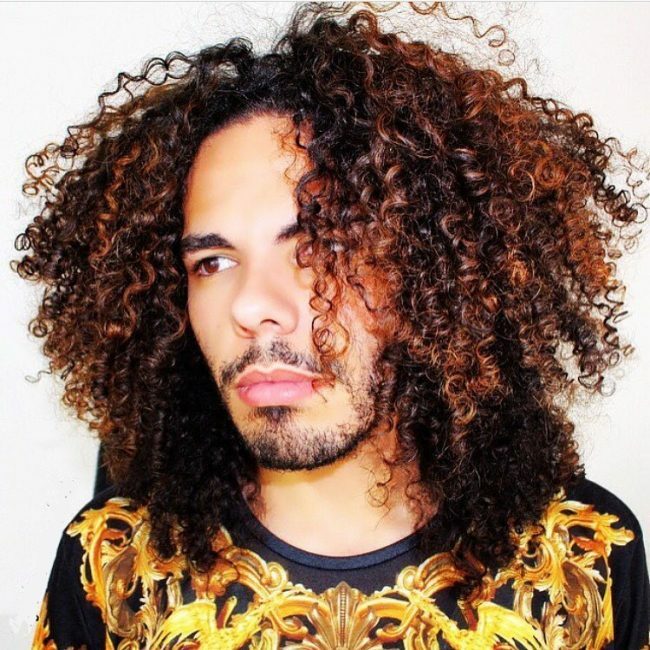 You do not have to keep a natural curly hair to create this look because there are many ways of making your strands curly. Apart from the thick curls, the hair also has some pretty highlights, and you should style it into a face framing design. 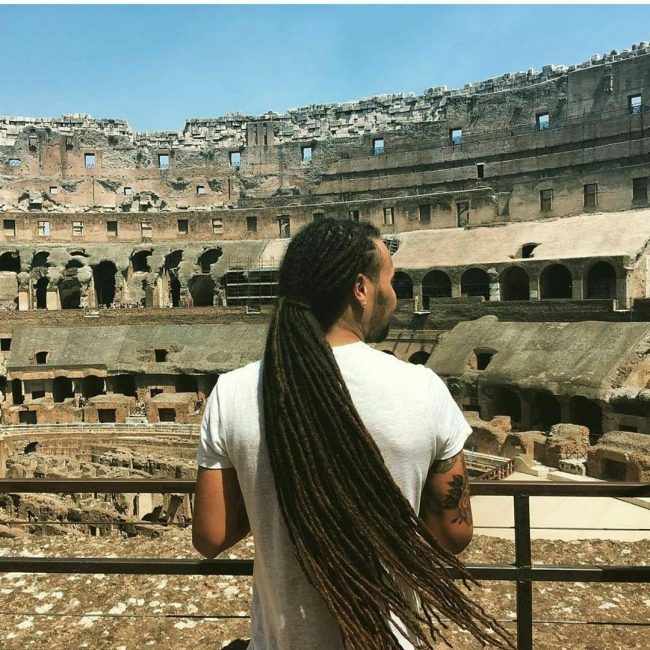 Even if you do not have natural dreadlocks you can still get the same appearance with some synthetic hair. 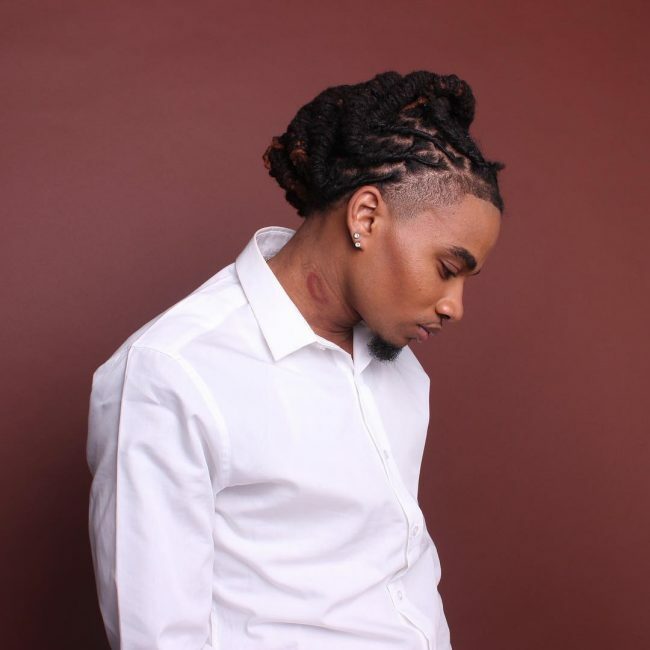 This style entails Shaving the sides of your hair to form a mohawk and then introducing some faux locs on the strands in the middle to create the synthetic dreads. 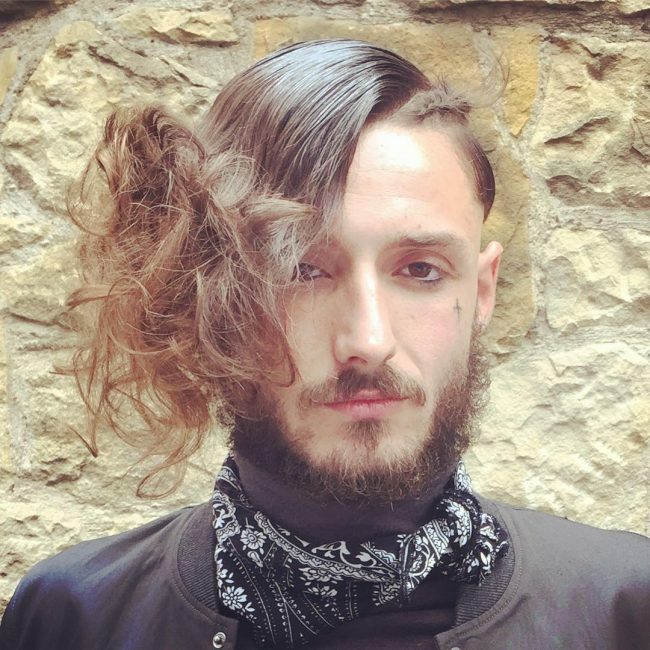 You should then finish the look by tying the locks into a ponytail. You will need some colorful synthetic extensions to create this look. 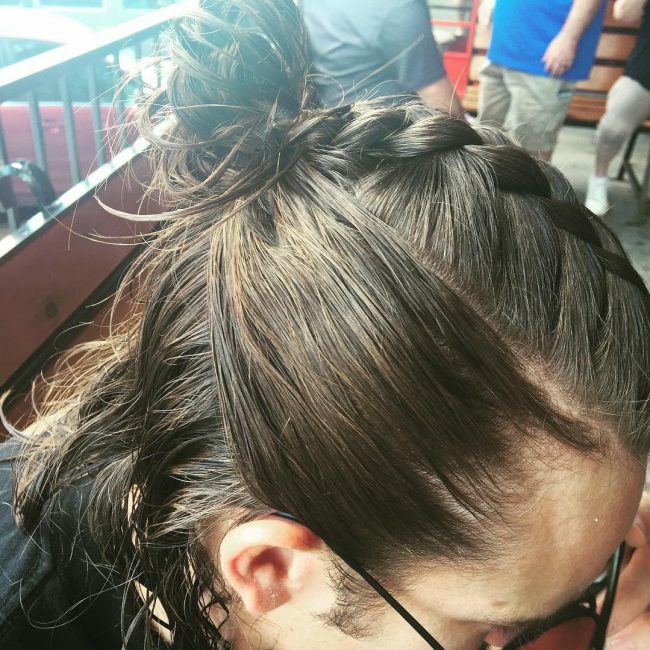 This style has some brown and blue ones and you should spin them into a massive French braid in the middle of the head and two small ones one the sides. The last step is to combine your braids into a braided bun at the center of the head. These strands are just stunning and everything about them from the color to their texture is just fantastic. With such a lovely fare mane a simple sweeping back looks pretty. A face frame is all the styling that you need. 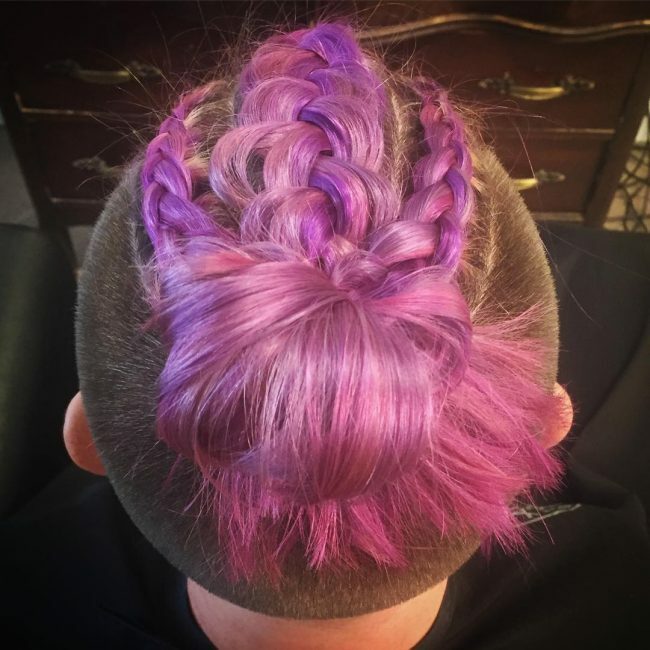 These purple braids look complicated but this style is easy to create once you figure it out. To replicate it, you should sweep back your locks and make loose central braid and add smoler ones on the both sides. 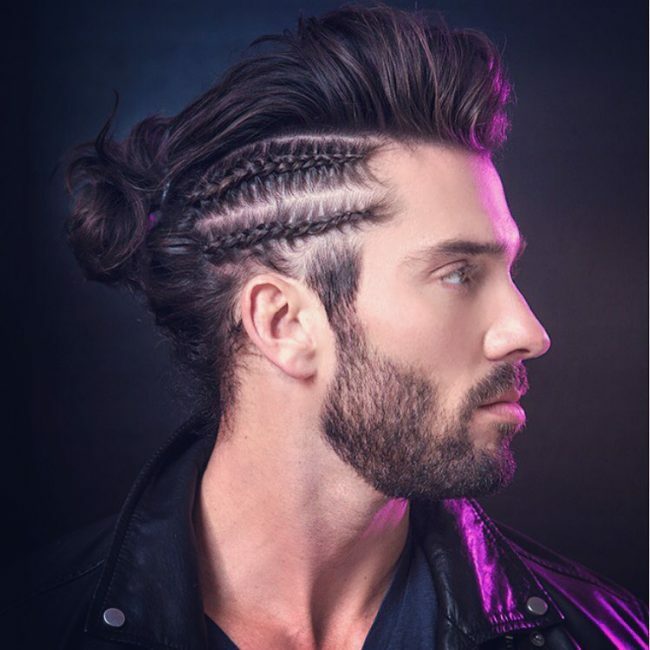 You can never go wrong with cornrows, and they are as masculine as other hairstyles for long hair. The ones in this headdress are classy and neat, and this is because of their beautiful blonde shade. 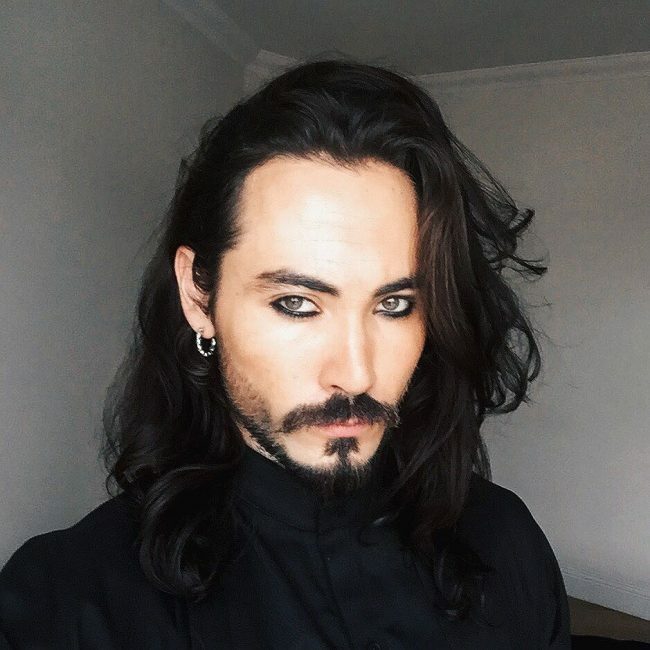 It is hard to believe that this mane is natural because it looks too perfect to be real. 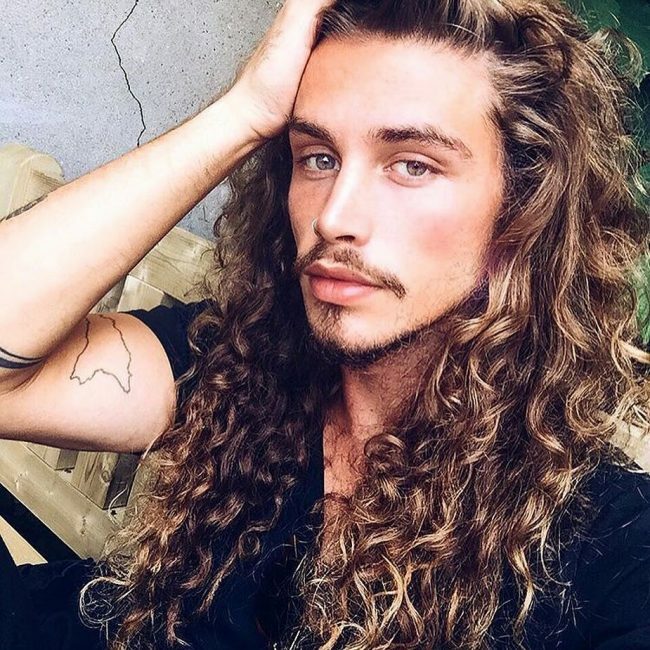 But, some men are lucky enough to have such hair with long curly locks and so it still looks adorable if they leave it to flow freely. The length and texture of these strands is splendid and it is enough to create a top notch headdress. 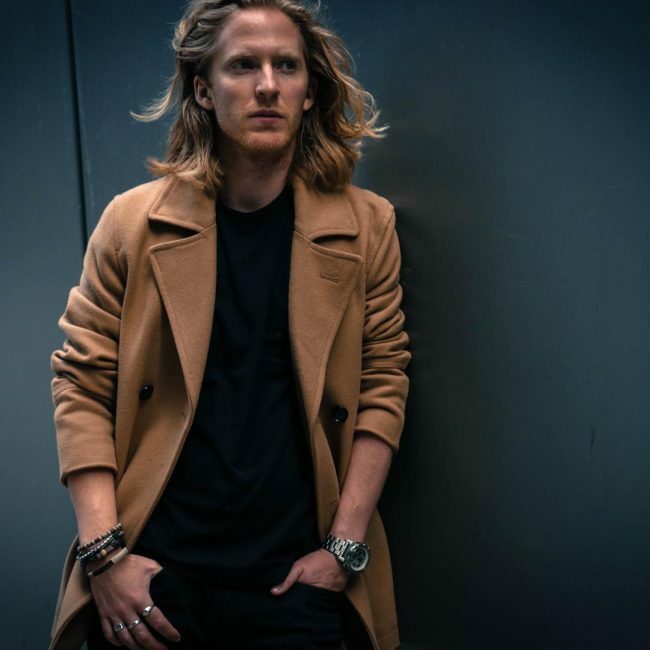 These locks also have an excellent volume and so sweeping them into a face frame is all the styling that you will need. 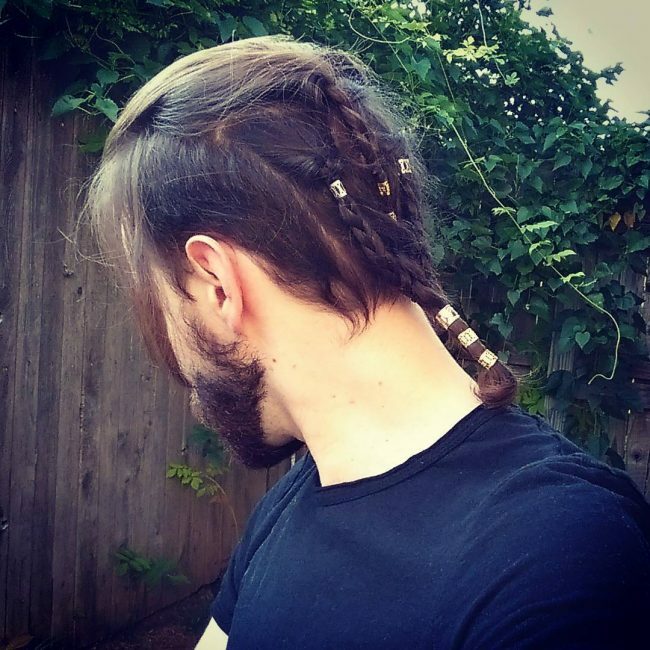 Viking twists are breathtaking, and this is more so if you create them with a little creativity like in this design. Here the twists are only at the back, and they create a cute ponytail design that you should accessorize with some metallic beads. As complicated as this hairstyle might look you can still create it with a little effort. 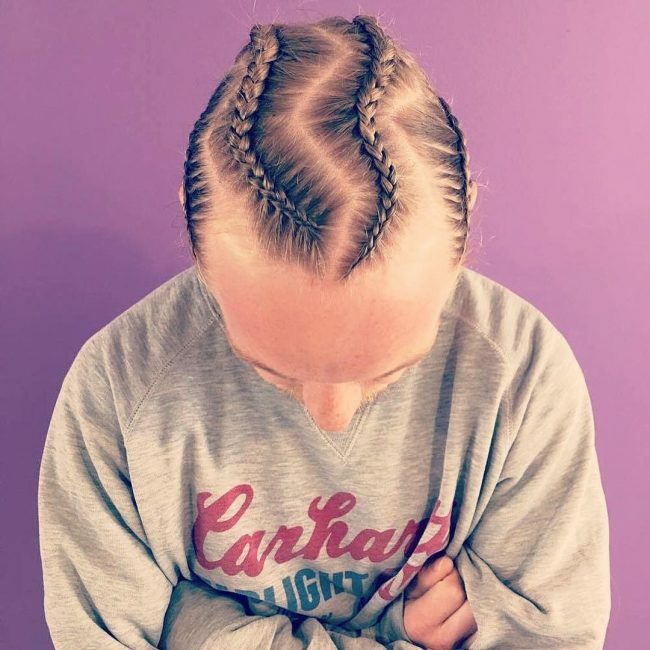 It involves weaving the strands at the top into some cornrows that combine at the center of the head to form a fishtail twist with some straight strands flowing below it. Sometimes you may feel like having something simple and fast. 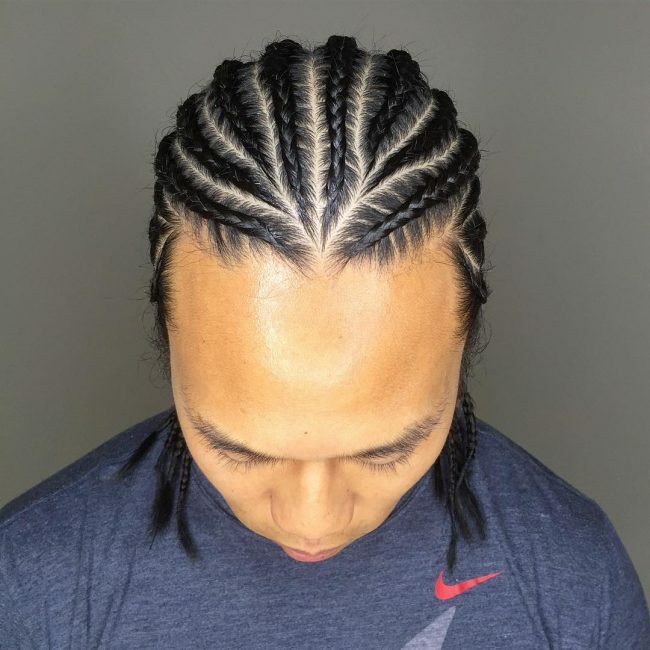 If this is the case, you can have some cornrows like these that you can make without any professional help. All you need is a bit training. 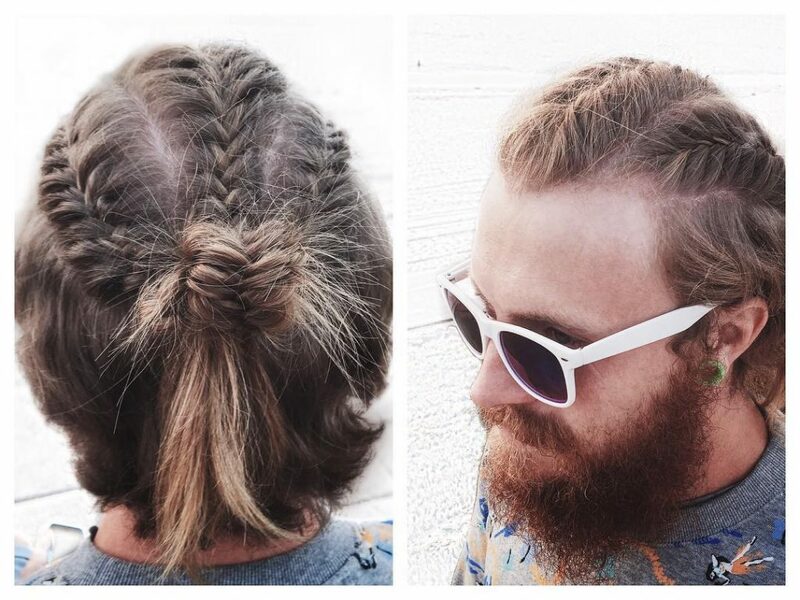 This sassy hairdo also gets its inspiration from the Vikings. 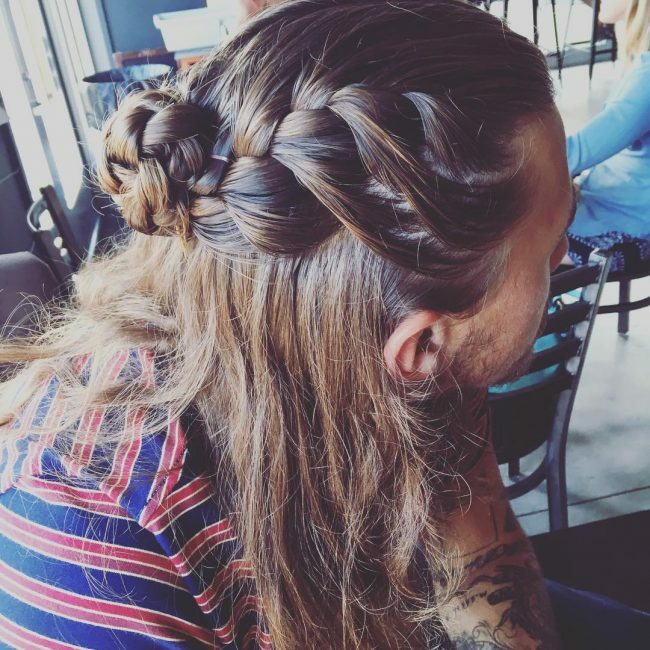 It entails weaving a large French braid at the top that ends in a knot at the center of the head and leaving the rest of the strands flowing freely. These strands are just fantastic. They have an excellent volume and subtle waves that make them look very classy. To style this lovely hair you will only need a center part and a small headband to accessorize it. 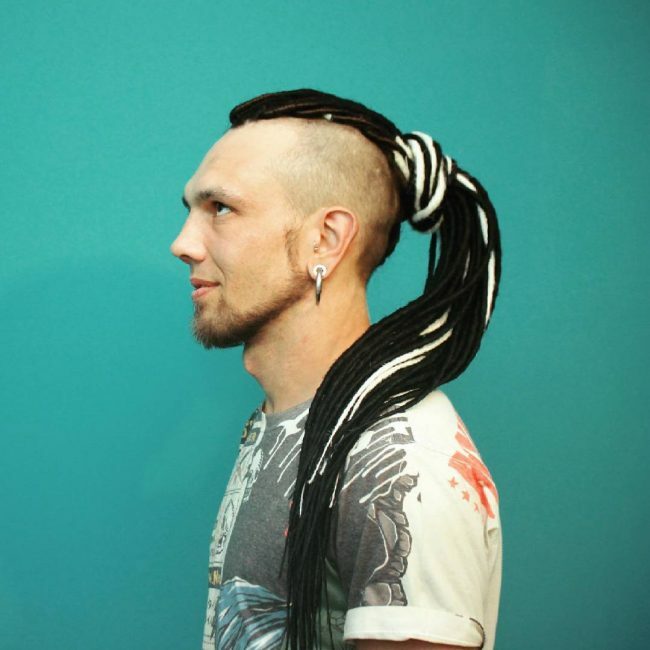 Whether you love dreads or not you will want to have this glamorous hairdo. It is a stylish design that consists of some textured and curly locks that you should style with a center part and by adorning with a few beads. An elastic band and basic styling skills are all you need to create this look. It involves pulling the strands to the center of the head and tying some of them into a bun to create a half up design. To create this lovely hairdo you should sweep back your hair and then knit it into a cute braided ponytail. 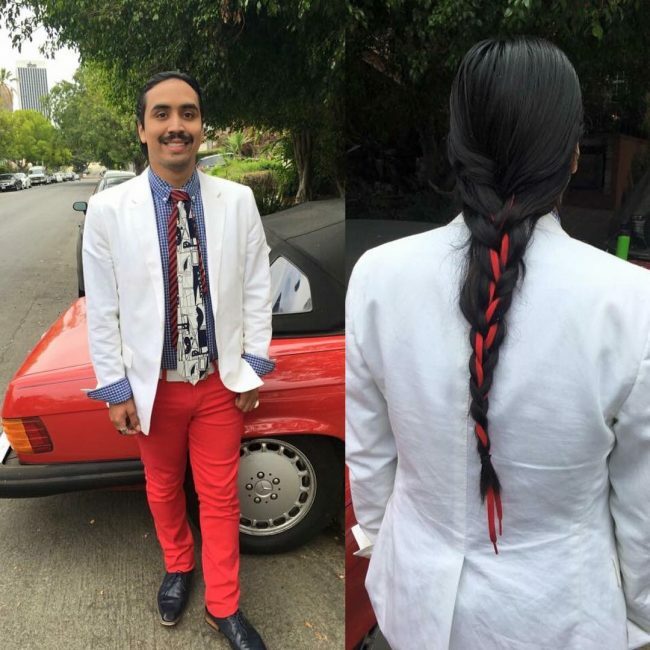 This design is very innovative because it incorporates a red shoelace into the braid to brighten it up. Mohawks never go out of trend and if you have a creative one like this you can be confident of an elegant hairdo. 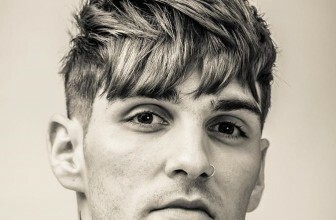 To create this look, you should shave the sides and leave the long hair in the middle of the head. 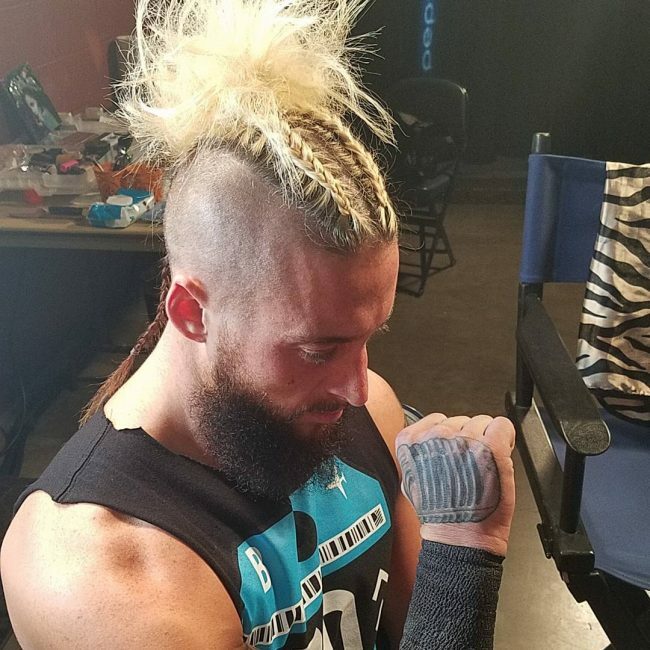 You should then finish by knitting the long strands it into a chic braided mohawk. 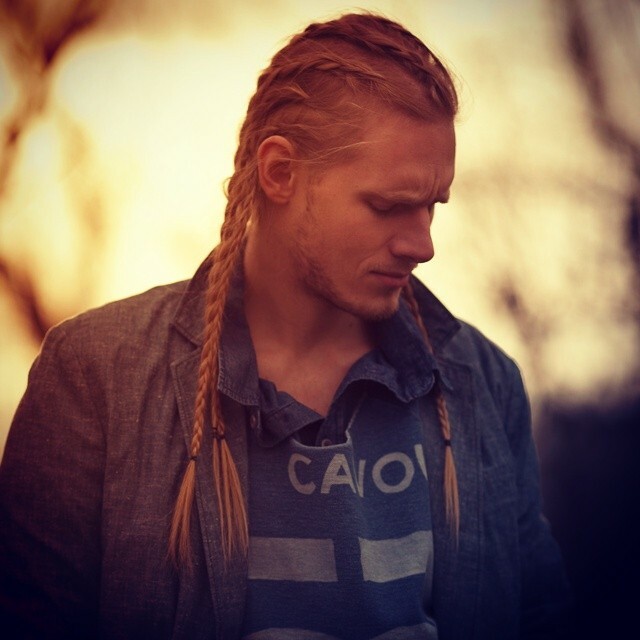 Braids are popular hairstyles for long hair but men love them because they are easy to create and also very versatile. 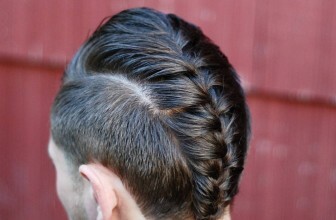 The braid rows in this style have a lovely wavy pattern that will make any man look Adorable. Chic and trendy are the two words that best describe this style. 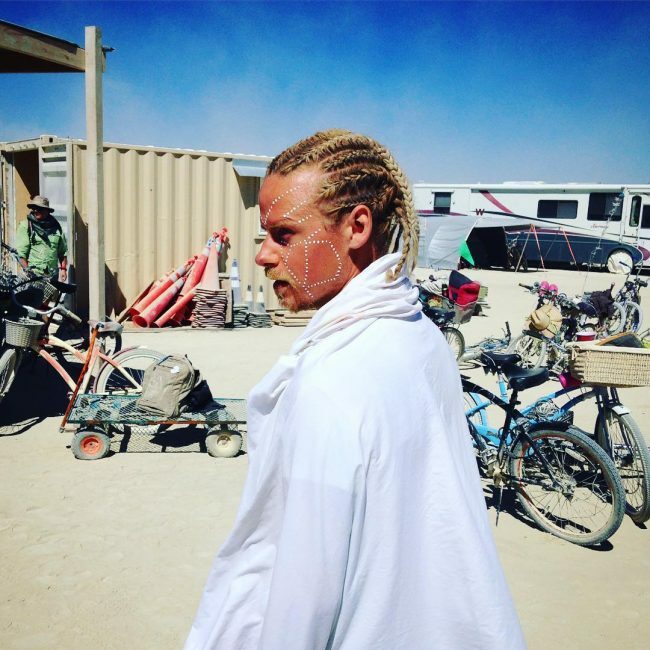 It involves weaving double braids that start on the side and end at the center of the head to form a half up design. 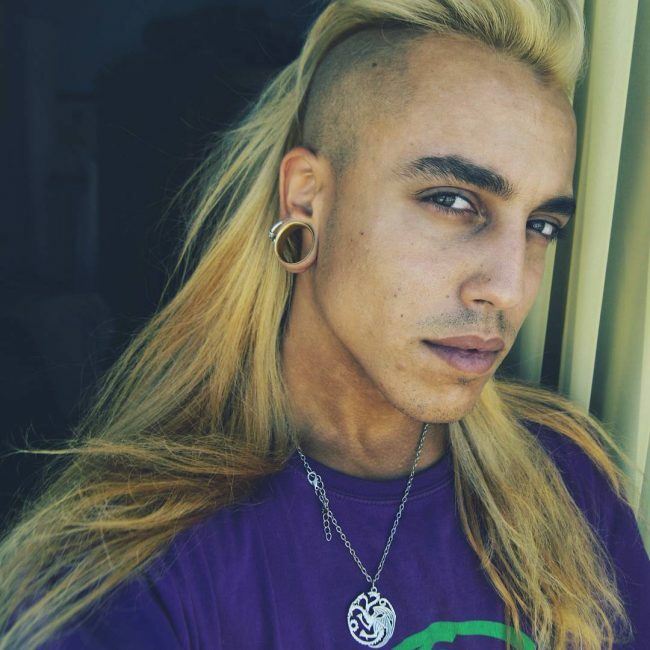 These locks are very long but their styling makes this hard to notice. 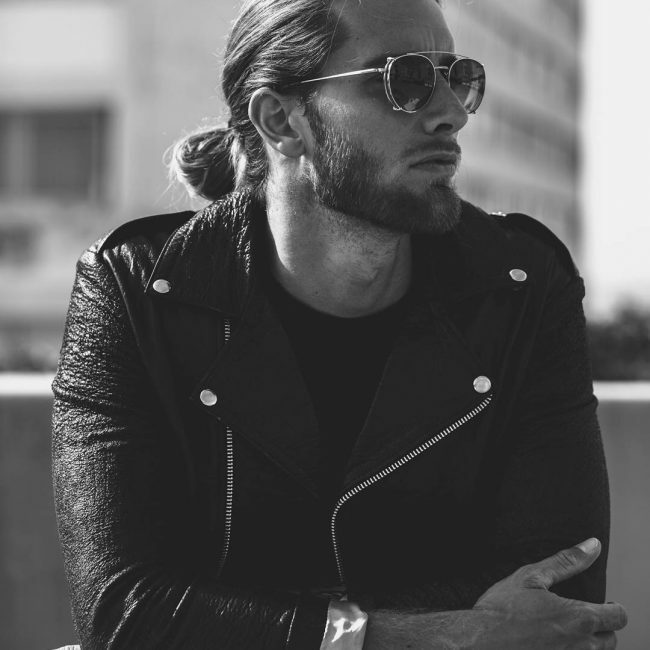 The style involves knitting some medium size twists at the top and combining them with the rest of the hair into a tight man bun. Ombre makes a perfect hair color and in this style it comes from transitioning from a black base to blonde ends. However, this long mane also has a lovely side braid and a center part styling that makes it look charming. To wear this cute mohawk, you should have a thick and long mane with a lovely color. 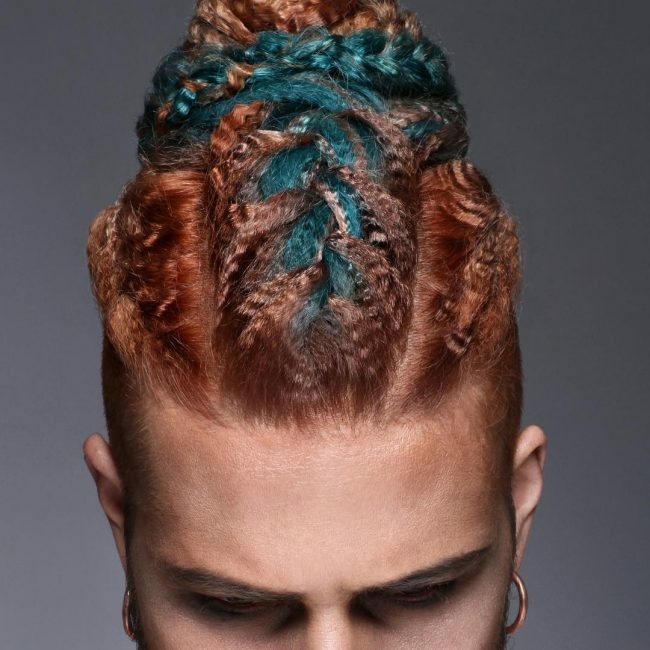 You should then knit two braids on each side and leave a thick upswept hair in the middle to create the mohawk. 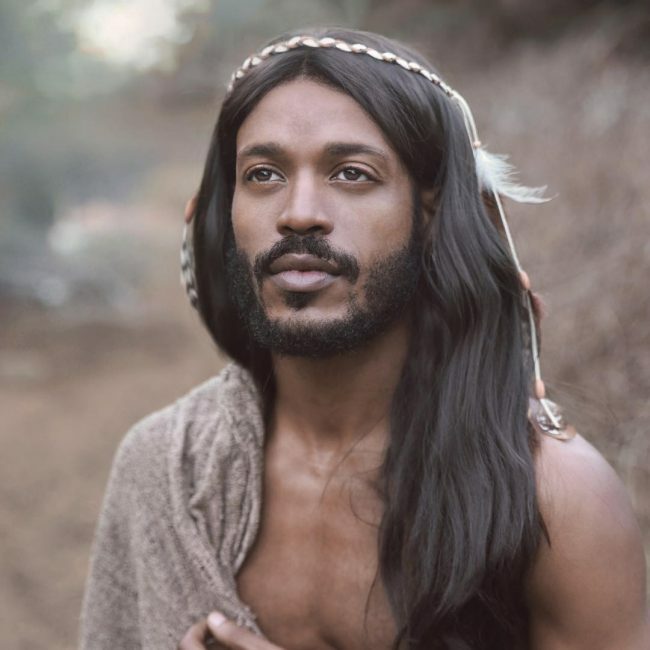 Some men are very patient when growing out their tresses and this is what makes styles like these possible. 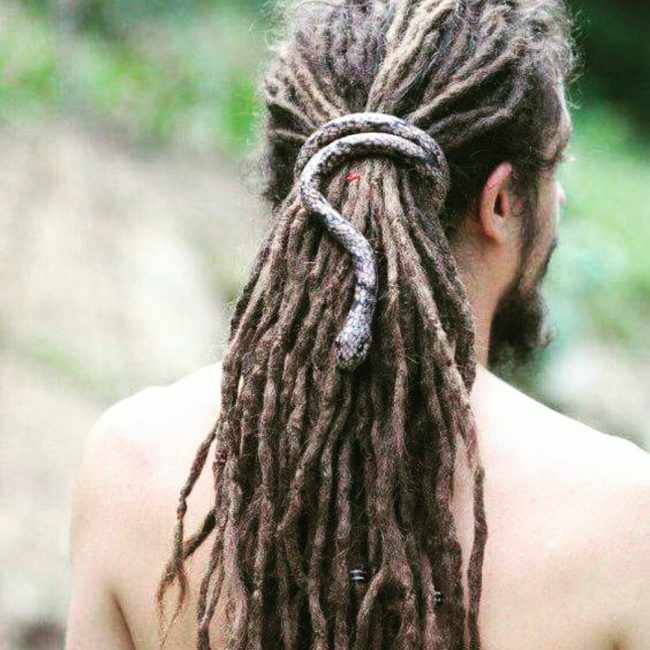 These are natural dreads, but they are extra-long. 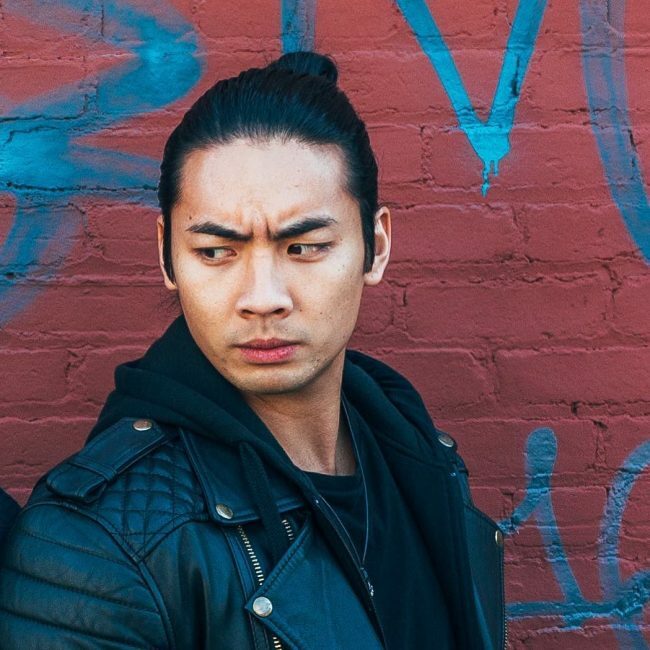 Their styling involves tying them into a ponytail. Boldness when it comes to hairstyles is having any hairdo that you want regardless of how it looks. 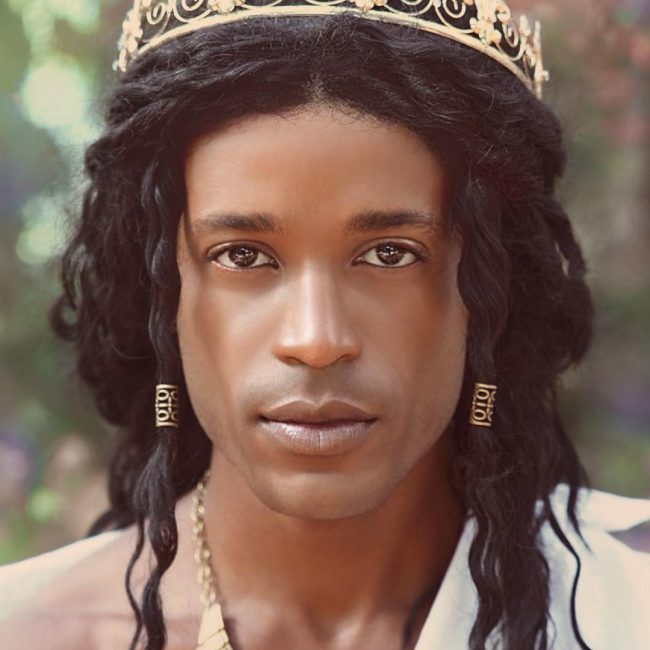 This hairdo is a perfect example of a bold headdress for men with long mane and it entails shaving the sides short and leaving a long and straight blonde hair flowing backwards in the middle of the head. 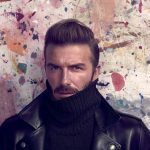 There are many other hairstyles for long hair that you can try out, but the 55 above are a good starting point. Whether you like simple designs or fancy ones you will find a comfortable style that will suit your tastes in the beautiful styles above.